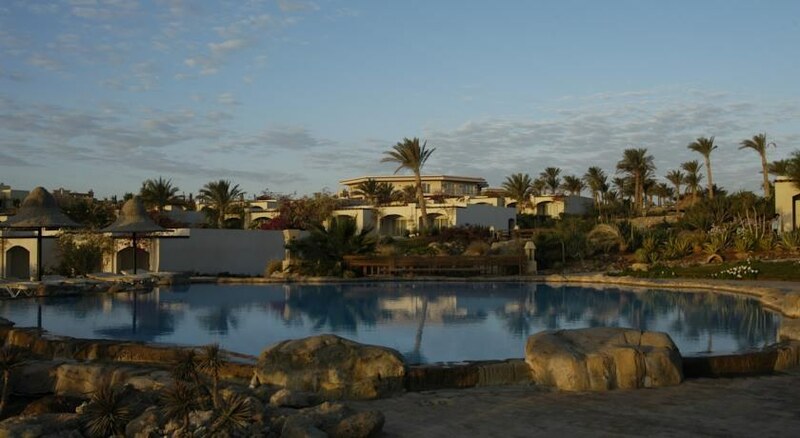 A coastal location, a private beach, seven swimming pools, watching the sun set over the Sinai mountains – what could be better than that? 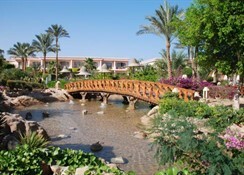 The reasons for staying at the luxurious Radisson Blu Lagoon in Egypt's Sharm el Sheikh are plentiful. 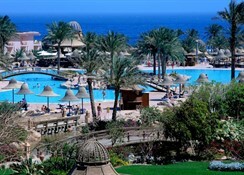 But whatever your reason for choosing this hotel you'll be assured of incredible service, a wealth of leisure facilities and close proximity to the incredible meeting of land and ocean that has made this region a booming tourist destination. Please note: Rates and condition are not valid for Egyptian and Middle East Markets. 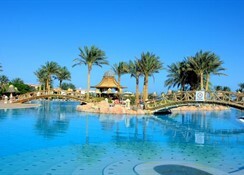 The biggest dilemma you'll face is fitting in all there is to do in this expansive hotel. There's a fully equipped health club, no fewer than seven swimming pools – two just for children, an aqua park complete with 31 water slides, a kids club, a Jacuzzi, a cinema and a shopping mall! 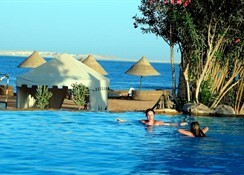 There's also access to a beach, where you can swim, dive or relax with a cold drink at the beach bar. It's not only the leisure facilities that are extensive at theRadisson Blu Lagoon. Those with a healthy appetite will relish the variety of restaurants and bars on site, including a main buffet restaurant that serves across breakfast, lunch and dinner, a Lebanese a la carte restaurant, an Italian a la carte restaurant and numerous bars where you can enjoy a snack, a drink and evening entertainment. 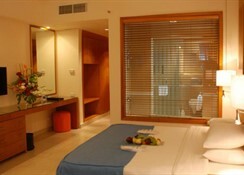 Each of 731 rooms offers great views of the sea, lakes or pools. Modern and spacious they’re designed to relax and revitalize, with a host of amenities including air conditioning, satellite TV, a terrace or balcony and a mini bar. Meals:Late Snacks, Restaurant, Daily: 02:00 - 06:30.A la Carte, Restaurant (Lebanese, Italian), Meal times.Lunch, Buffet, Restaurant (Olive Main Restaurant), Daily: 12:30 - 14:30.Breakfast, Buffet, Restaurant (Olive Main Restaurant), Daily: 06:30 - 10:00.Dinner, Buffet, Restaurant (Olive Main Restaurant), Daily: 18:30 - 21:30.Late Dinner, Buffet, Restaurant (Olive Main Restaurant), Daily: 23:00 - 02:00.Late Breakfast, Buffet, Restaurant (Olive Main Restaurant), Daily: 10:00 - 11:00.Snacks, Buffet, Restaurant (Olive Main Restaurant), Daily: 11:00 - 16:00.Drinks:Tea, Restaurant, Daily: 16:00 - 18:00.Locally produced Alcohol, Soft drinks; Beer; Spirits; Mineral water; Tea; Coffee, Bar (Beach Bar), Daily: 09:00 - 17:00.Locally produced Alcohol, Soft drinks; Beer; Spirits; Cocktails; Mineral water; Tea; Coffee, Bar (Pool Bar), Daily: 09:00 - 21:00.Locally produced Alcohol, Soft drinks; Beer; Spirits; Cocktails; Mineral water; Tea; Coffee, Bar (Aqua park snack Bar), Daily: 09:00 - 17:00.Locally produced Alcohol, Soft drinks; Beer; Spirits; Cocktails; Mineral water; Tea; Coffee, Bar (Lobby Bar), Daily: 09:00 - 06:00.Locally produced Alcohol, Soft drinks; Beer; Spirits; Cocktails; Mineral water; Tea; Coffee, Bar (English Bar), Daily: 18:00 - 00:00.Locally produced Alcohol, Soft drinks; Beer; Spirits; Mineral water; Tea; Coffee, Bar (Upper Terrace Bar ), Daily: 20:00 - 23:00.Locally produced Alcohol, Soft drinks; Beer; Spirits; Mineral water; Tea; Coffee, Bar (VIP Lounge), Daily: 10:00 - 06:00.Sports/Activities:Tennis; Volleyball; Table Tennis; Beach Ball; Darts; Jacuzzi.Extra Charge (A charge will be made for Massage, Sauna, Steam Rooms, Racket, Balls, and Beauty Treatments. ).